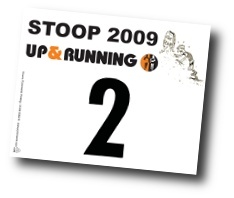 Full results from the 20th Stoop race on 20 Dec 2009 here. Rob Hope managed his 7th win, leading in a field of 184 runners over an out and back course. Paul's photos from the senior race, and Quarry Runs. Dave's photos from the senior race, and Quarry Runs. Peter Ellwood's photos from the senior race.